OG Kush Auto cannabis seeds by Dinafem Seeds belong to a feminized autoflowering cannabis strain that results from the cross between an OG Kush and a Haze 2.0 Autoflowering. It is a high-quality hybrid with which to obtain crops with excellent properties and a touch of exoticism in a fast way. 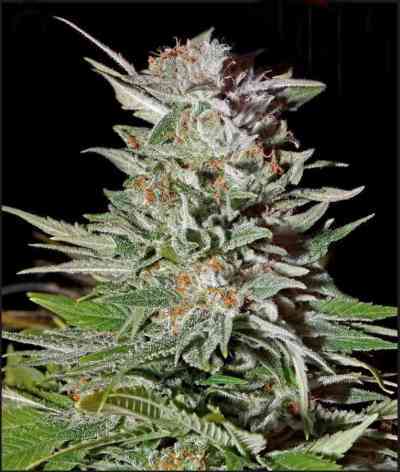 OG Kush Auto marijuana seed is the autoflowering version of a renowned Californian cannabis strain. 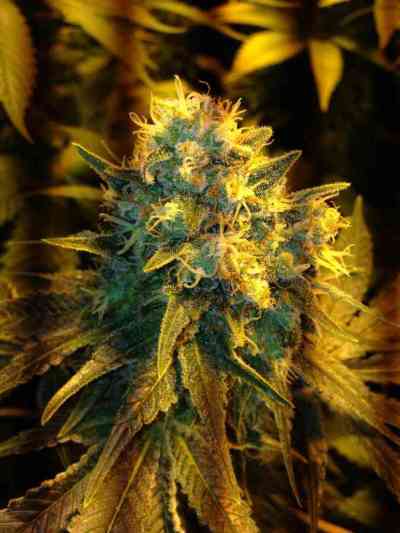 It is a wonderful easy-to-grow vigorous marijuana plant that yields heavy dense buds covered in resin. 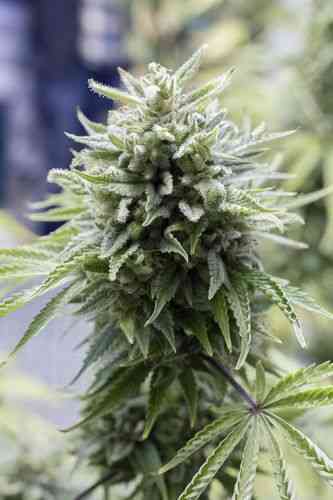 It gives off a sweet captivating scent that urges you to taste it when approaching the plant. Really well balanced, OG Kush Auto cannabis seed gives growers the possibility to obtain good results in small indoor spaces and crops that go unnoticed outdoors. It is advisable to water it frequently but in small amounts. Faithful to its predecessor, this cannabis strain is a true delicacy. OG Kush Auto has an intense flavour and aroma, with notes of lemon, oil and pepper. The long-lasting effect is powerful, physical and mental. It is the perfect choice for unwinding peacefully on your own or with friends.